I had this chance of hearing a story from my friend Alok. I met him in Royal Bhutanese Embassy in New Delhi during our trip to Nainatal (a tinsel town in Uttaranchal). It was a trip organised by Bhutan Student Association New Delhi for fresher students. The story begins with a king and his courtiers travelling through a desert and the king who owns the entire kingdom feels thirsty but his entire courtiers couldn’t get one to fetch king water. 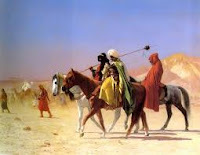 They were soon filled with full thirst and desperately searched for water in entire desert. They were helpless, they couldn’t find anyone and they couldn’t fetch king a water. They ran out of the water. There’s nothing that could be done to address the situation. At last they came across a beggar. He was poor but he was having a leather bag filled with water. He bowed before the king. “I am a king. Give me water?” ordered the king. But the beggar who knew well about the essence of water in a desert refused and replied “I am well aware, Your Majesty, but pardon me with your great patience, I shall need the water for myself”. The king was furious. He warned the beggar. It was almost like a pronunciation of a retribution for speaking against the king. Nothing less than a blasphemy. How would dare to refuse the king whose subject you are. “A pauper of no penny and you speak in a language of a king. You shall be brought before the law, I order you to spare some for me”. really can’t honour Your Majesty with water. I need it for myself. I need to walk miles and miles in desert”, he bowed as he spoke for his own pledge. The king now sensed a kind of adamancy in the wanderer and, his excessive thirst tamed his inner conscience that brought the heightened ego of a king to such a level that he now began to feel like requesting, instead. It was really like a chess game as he said. In the chess game it’s the power of time which wins the game even by giving a check on the king by the strongly defended pawn, a defenseless king could well be dropped down. It’s not the status of the position the person holds in the system but it’s the time and the place which defines the power of everyone’s responsibility. Man may be having an entire empire of wealth, but all that he need is a simple happiness and he doesn’t get through his wealth, is he rich? Many things are immaterial in such situations. It’s the value within that stands. The time always has been the more.